Announcement - Terms of Website GOCEA Membership. Terms of Website GOCEA Membership. These Terms and Conditions Website 'Global Orchid Culture Exchange Association (GOCEA)' terms and conditions of use of the services provided by information about the procedures and other regulatory changes are needed. He read the following User Agreement carefully. Please! Website 'GOCEA' subject to the following Terms of Service you must provide this service. Terms of Service may be updated from time to time without notice. ② Orchid cultivation technology and the environment by applying the member if he did not get the desired results, the website 'GOCEA' does not bear any responsibility. ③ Use the password you have done for acts solely be responsible and shall not disclose passwords to others. Your password for unauthorized purposes is not available. ⑤ websites 'GOCEA' at any time and from time to time the Service (or part thereof), or notice, without notice, modify or discontinue, temporarily or permanently may Your modification of the service, interrupted or stopped for a website 'GOCEA' against you or any third party agrees to have no liability whatsoever. ⑥ websites 'GOCEA' discretion for any reason your password, account or stop using the service, or service information and comments contained within the published statement that caused a problem if the user decides to delete the operator agrees that a randomly should. In addition, the websites 'GOCEA' at any time at the discretion of the provision of services or any portion thereof, notified or interrupted, without notice inclusive can delete files immediately, and for such a file or service may no longer deny the connection acknowledge and agree. ⑦ due to the presence of an advertiser as a result of such transactions or for any loss or damage resulting websites 'GOCEA' agrees to be liable to the. If the user does not want to comply with the terms of this website as a member of 'GOCEA' is not available. ① websites 'GOCEA' only one member of the user ID and password, you can have. ② websites 'GOCEA' As a member, you are required by the registration form the user's E-mail address, etc. for your truthful, accurate, and consistent with the fact that current and complete information, or information you have provided us the truth inaccurate, not current or incomplete facts do not match the case may suspend or terminate membership. ③ A third party user ID and password of your own, and do not share E-mail address. ④ The user's user name and ID, and password through the website 'GOCEA' started to take all the text and are solely responsible for the actions. If the user ID to the others, given their own ID and password to lend to the websites 'GOCEA' If join up on, the user to do so by a third party lawsuit or any liability arising from the dispute or is responsible for the cost. ⑤ Others without the approval of my users use the user's password, or as soon as it is determined that a violation of this Terms of Website 'GOCEA' should report on. Other "Privacy" of the "PRIVACY" on page reference service companies. Website 'GOCEA' staff members are free to write a post with registered members, and members of his posting does not pre-review or editing. However, this site lifting article social myths and morals inappropriate or law and moral problems caused, the copyright holder's approval is not illegal or unlawful unauthorized citations, others undermine and slander, unwholesome content, privacy on the inappropriate, and these Terms and Conditions violation (Article 3 Section 1 - 2) if it determines that the staff members can take any other action. In other words, notice or without notice to the publishers and the Executive Committee in Section 2 of Article 3 that operators some of the content and can edit or delete the entire sentence. In addition, the statements regarding the problem discussed in the Steering Committee meeting if the whole sentence is in (including comments) and "Move sentence board(closed board)'can be moved to. Discuss your problem with case-by-case basis in consultation with the Steering Committee, destroyed, partial deletion, archiving, or can be restored. ① editing restrictions, and delete statements for presentation on the notice. 1. After all the statements within three hours of the announcement can be edited within the time limit above shall review and modify. However, comments with modifying phrases and limited amount of time to modify or delete, if not inherently The Cancel operation may destroy the chip, so the sentence should be released. The timeout period elapsed statement released by modifying the presenter is responsible for all this. 2. Comments with the statement relates to the body and the comments by the presenter's rights and relations, so can not make corrections or deletions, the operator can not make a request to delete. 3. Published in the event of withdrawal after members leave the sentence (including comments) and make a request to delete operator can not operate this site as long as the speaker's identity is permanent. 4. Statements issued in the event of legal problems due to the operator at the request of law enforcement-related information can be presented in whole or in part. ② as ex-officio Executive Committee or operator delete sentence or comment. 1. All rights reserved with a use copyrighted material without the consent of the copyright holder, unlawful or illegal, unauthorized copying and, if released, citing a sentence. 2. General comments that have nothing to do with the body (immediately deleted upon discovery). 3. Opponent, libelous, that undermine the purpose of or related to a third party or self-reported statements made comments and feedback if you have information to submit the above report are deemed reasonable, a sentence or comment. 4. Unhealthy information and statements or comments. 5. Member statements or comments that are deemed harmful to. 6. Social myths and morals inappropriate or moral law text or comment that causes the problem. 7. Personal defamation, false rumors, about the privacy statements or comment posting inappropriate content. 8. Other Steering Committee was discussed in the statement or comment. Article 4 (user guidelines, shut down and deprived of membership). ① website users 'GOCEA' used for unlawful purposes or for others, insult, slander, invasion of privacy, obscene, spread the contents of ten thousand and one other will be stopped if the article may be deleted or suspension from membership. ② websites 'GOCEA' personal data of the picture material, non-commercial purpose if used may take legal action. ③ you do the following acts, if not to use this service and agree to the deprivation of membership. 1. Coated unlawful harm, threaten others, using abusive behavior, such as defamatory. 2. The use of obscene, vulgar language or behavior of another invasion of privacy. 3. Writing unpleasant post, email, otherwise transmit via the act of giving other members a sense of unpleasantness. 4. Within three days after joining the 'Join Greetings' board personnel through a subscription to a sentence if it is not released. 5. 'Join Greetings' to the contents of their personal information released, but if you think that false. 6. After Sign up the 'Join Greetings "or a sentence, announced at least one year if there is any announcement statement or comment. 7. Other members or the committee determines that the problem in the membership. Article 5 (website 'GOCEA' content and intellectual property rights). ① websites 'GOCEA' content (including photos), the website 'GOCEA' and the websites of intellectual property 'GOCEA' has the exclusive rights, copyrights, trademarks, service marks, patents or other intellectual property are protected. ② websites 'GOCEA' information provided by members of the media or otherwise used in whole or in part without prior notice to the user if you have permission to use. 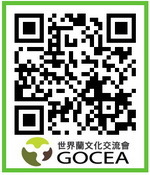 ③ websites 'GOCEA' website, all of the information, 'GOCEA' has the right to the sole. ④ website users 'GOCEA' made in all the information (communication, picture, video, graphics and other media included) website 'GOCEA' unauthorized copying of permissions (accept only used personal data), publishing, distribution, transport change, or some other way, or for the purpose of editing is not available. ⑤ websites 'GOCEA' raised a lot of information on the website against 'GOCEA' does not have any responsibility. However, a possible by unyoungjin definite information will be posted, and other information also look at the most correct information will be announced from time to time. ① websites 'GOCEA' website, the management's discretion, of users 'GOCEA' connections can be shut down or stop. ② fraud is considered an insult or do anything illegal websites 'GOCEA' of the staff members to terminate User's membership to the appropriate legal action may be the reason. ③ websites 'GOCEA' terminated with respect to the user's membership also available for any proceedings or shall not be liable to third parties. ① websites 'GOCEA' on the following items by a third party in any litigation or claims shall not be liable for. 1. Website 'GOCEA' and other relevant data or information, or posts on this site. 2. The accuracy of the data and information transfer thread, error or delay, delete. ② Observe the following losses or costs or damages can not be responsible for the build. 2. Natural disasters or war, fire, rebellion, violence, labor disputes, power outages, system or software malfunction, due to force majeure, such as websites 'GOCEA' takes place in situations beyond the control of data, information, article, stop. ① websites 'GOCEA' WWW sites on the Internet and other sources of information are connected to. ② websites 'GOCEA' only connection this has provided for the convenience of users. ③ websites 'GOCEA' products or services associated with the site, information about the quality of the websites 'GOCEA' does not warrant that. ⑤ connecting users of the site under any circumstances for any loss or damages due to product information website for the 'GOCEA' can not be held responsible for. If any provision deemed invalid or impracticable provision that if the validity of any other provision of this Agreement will not affect about.